Villagers make music you'd feel just as confident sharing with your crush on some pseudo-indie mixtape as you would with your relatives at an obligatory Thanksgiving dinner. It's accessible easy listening, but executed with a level of skill that offers frequent moments of genius, and quick-witted lyrics that are sure to be quoted on the social feeds of fans in crisis (or just mid-breakup). Darling Arithmetic, in 2015, was a beautifully subdued imagining of the band that stripped down the instrumental tropes of grandiose folk-pop and focused heavily on intimate storytelling. It's work like this that's garnered singer-songwriter Conor O'Brien and his band a handful of accolades. To put O'Brien's potential into perspective, his song "Nothing Arrived," has tens of millions more Spotify streams than any Death Cab For Cutie anthem (with the obvious exception of "I Will Follow You Into the Dark), and even out-streams recent pop culture bops like Cardi B's "Drip." Progress, however, is not a straight line. Now four albums into his well-deserved success, the inevitable has caught up with O'Brien, who finds himself struggling to stay afloat on The Art of Pretending to Swim. The self-produced record dives into murky waters in an ambitious attempt to incorporate an electronic flair to an already complete set of folk tunes. 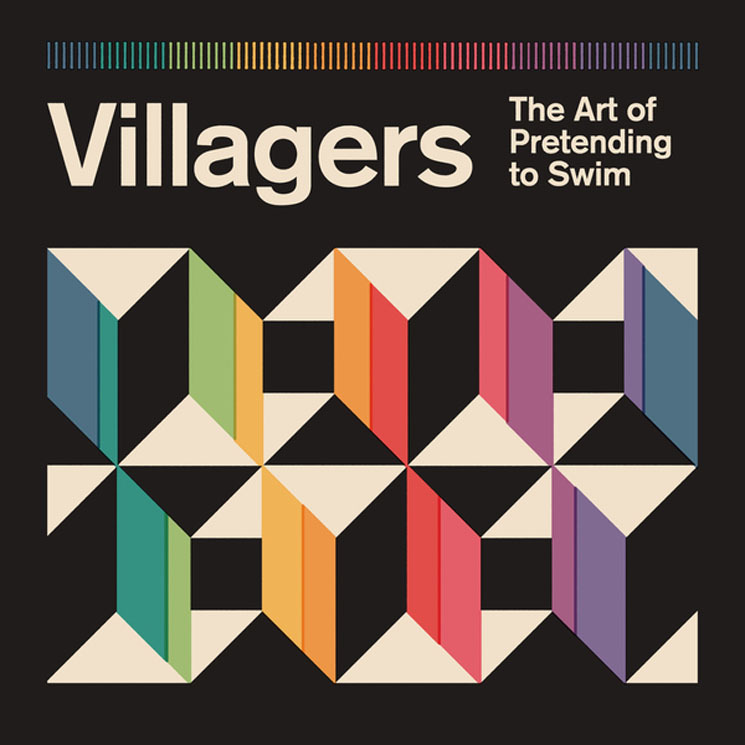 There's a more upbeat groove to this record too, but ever since O'Brien left us feeling like putty in his hands on Darling Arithmetic, you can't help but wonder if that's something we even want from a Villagers album. The album is also littered with drums that sound more like a bundle of outdated e-kits from the advent of Pro Tools. "Hold Me Down" and "Love Came With All That It Brings" are both interrupted by these unnatural instrumental pairings; the latter ends up sounding like some sort of Macy's holiday jingle. It's odd, sure — but more than anything else it's just boring. There are still glimpses of hope on here, like on the ultra-smooth single "Fool," while "Long Time Waiting" possess lyrical highs as O'Brien sings "I could do without this talk of getting ahead / When it's a battle just to get out of bed / My will is strong but it's starting to break / There's only so much a body can take." The album's strongest track, "Real Go-Getter," harnesses all the musical strong points we'd expect from Villagers: haunting vocal performances, intricate guitars, and simple yet effective lines like "If it's good enough for you, it's good enough for me."